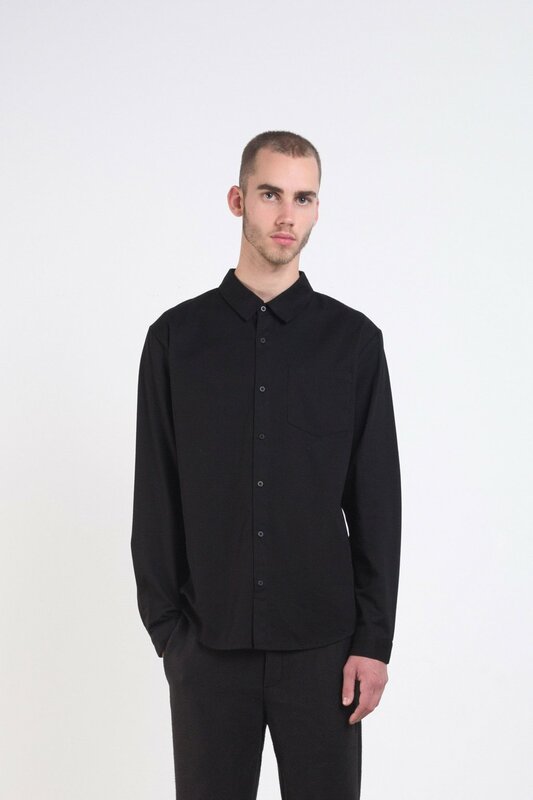 This casual and classic shirt is made of pure cotton fabric. 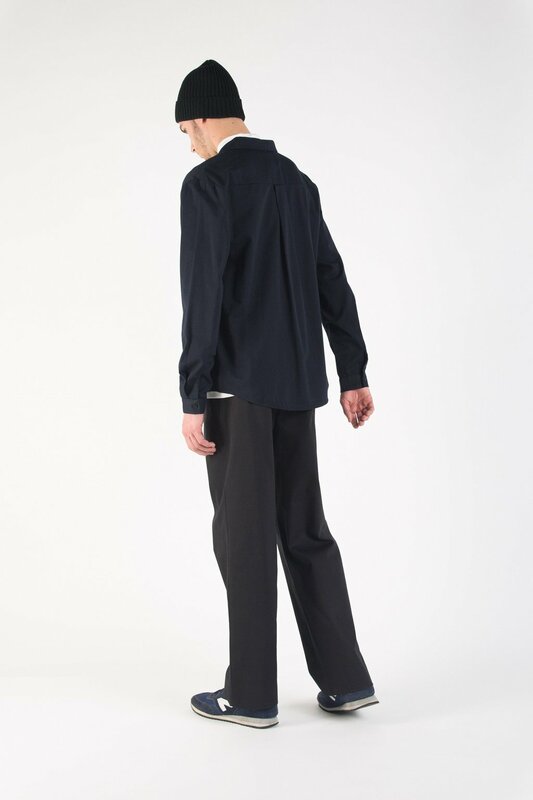 It features a traditional collar, front chest pocket, button down front, button closure on the sleeve, and single box pleat on the back for added detail. 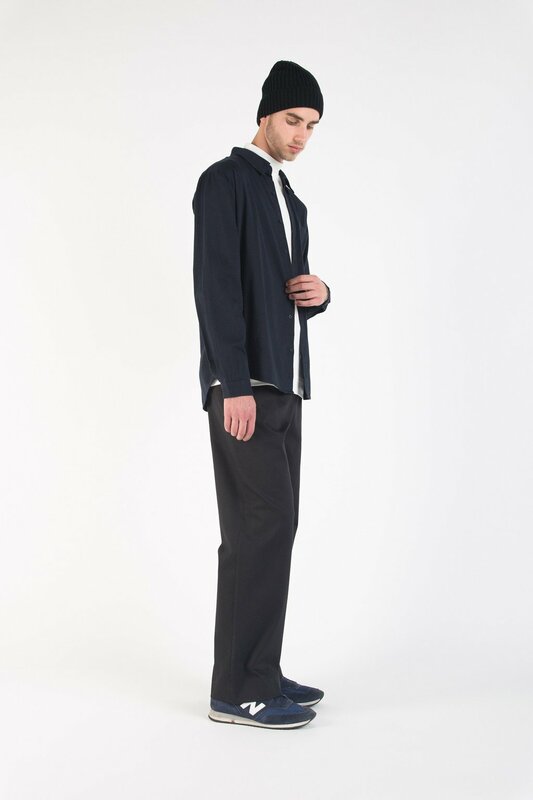 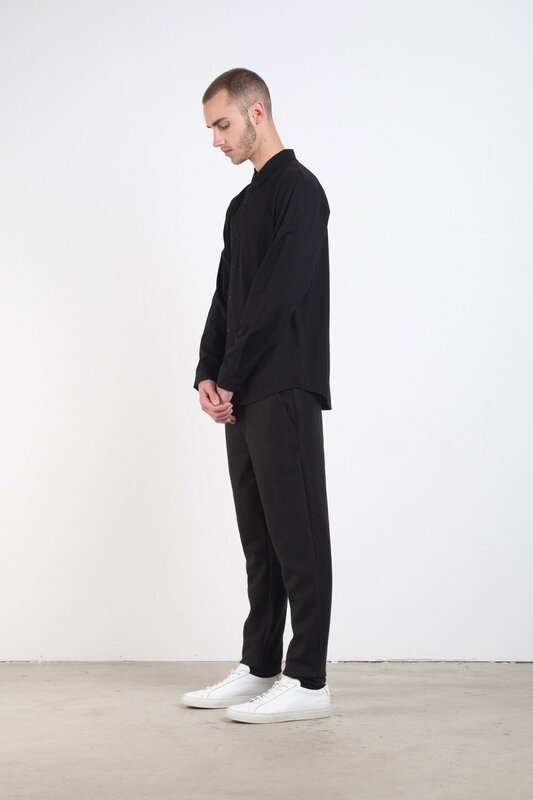 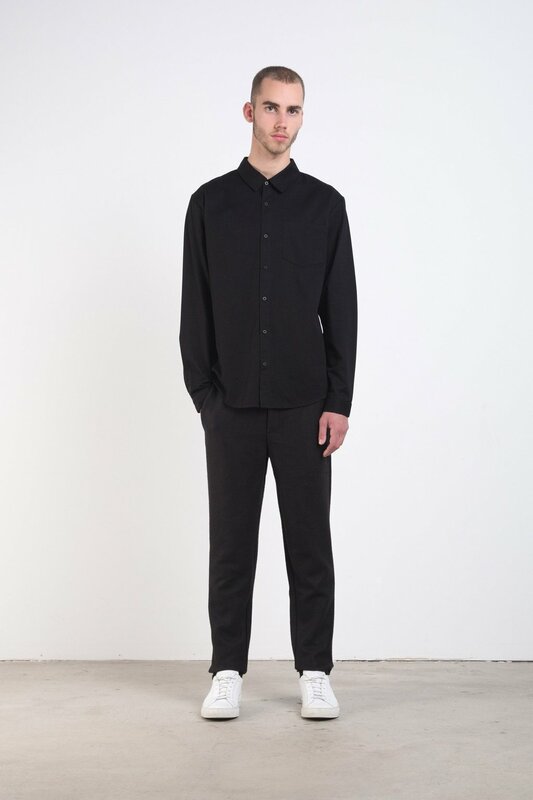 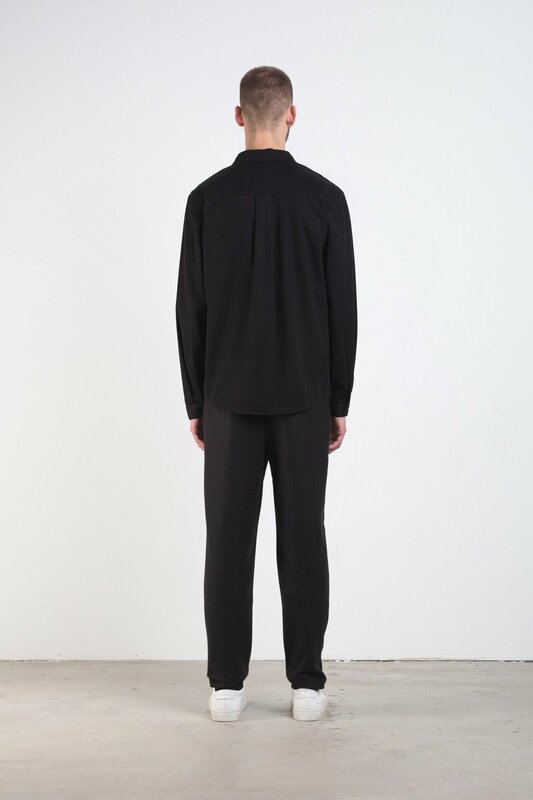 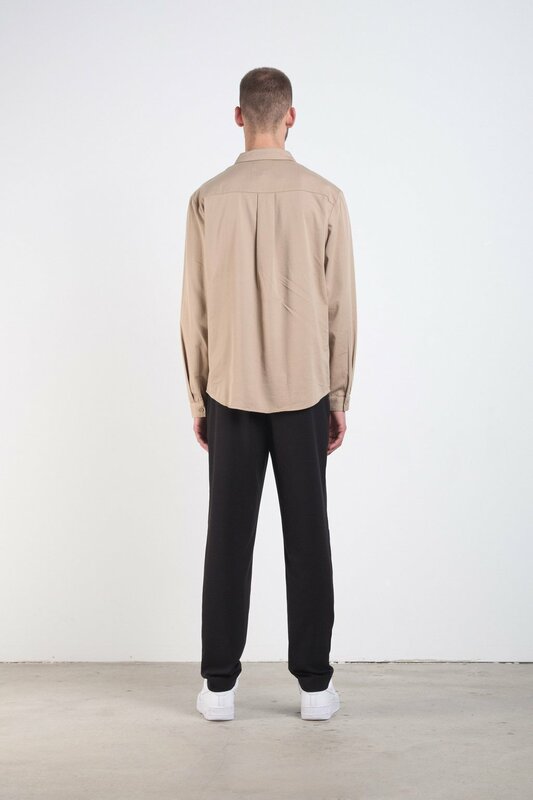 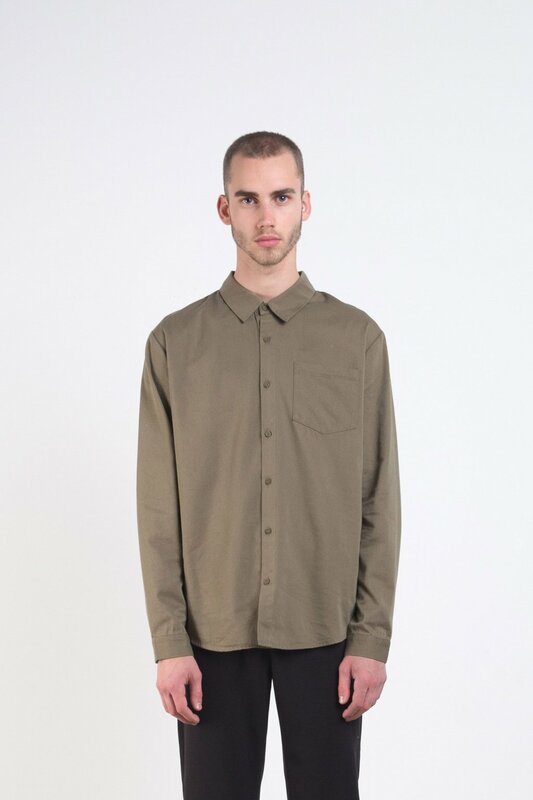 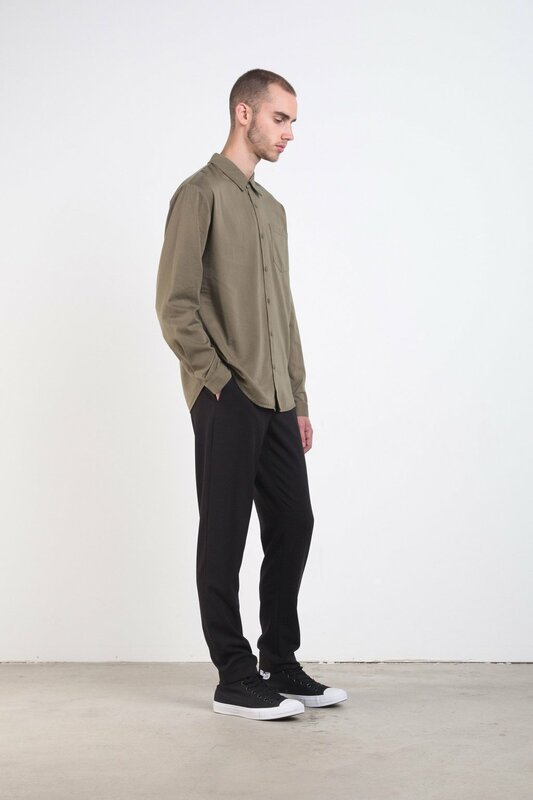 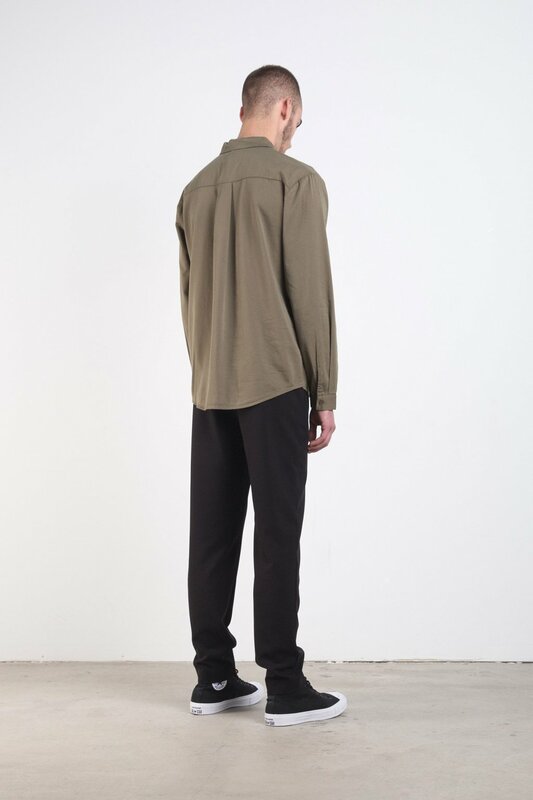 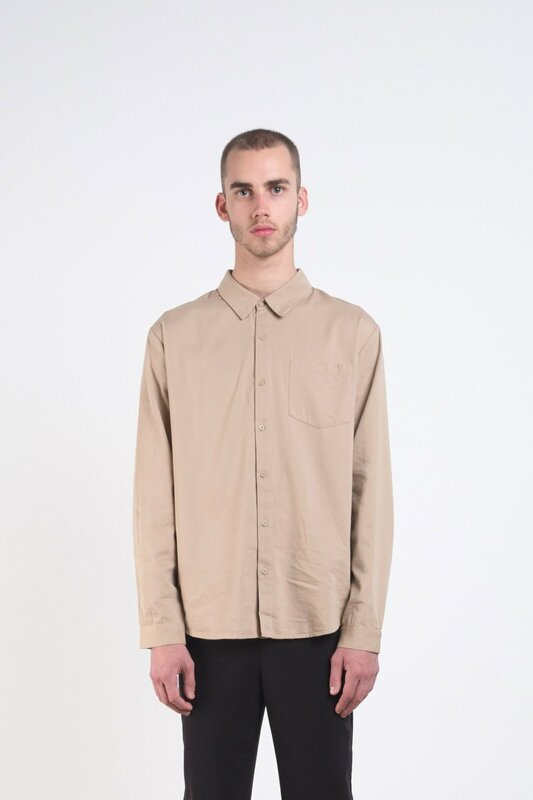 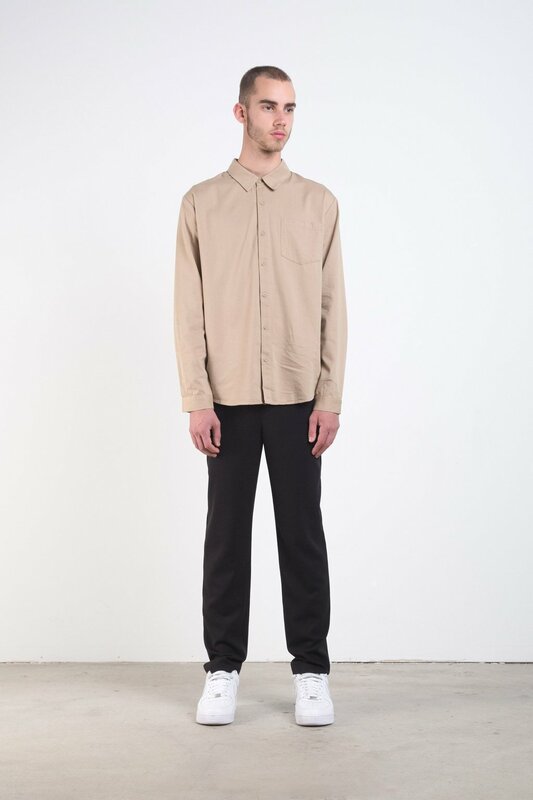 The buttons and shirt match in colour giving this piece its very minimal aesthetic. 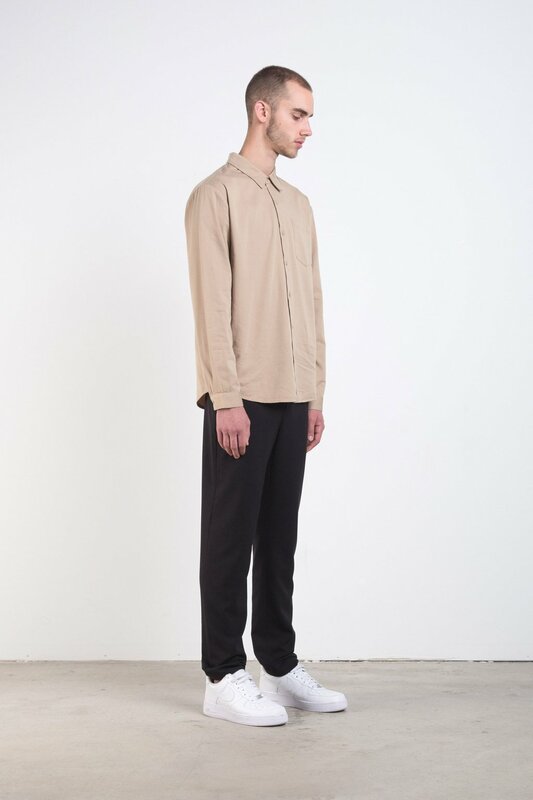 Try pairing with tan trousers for a relaxed outfit with a muted tone. 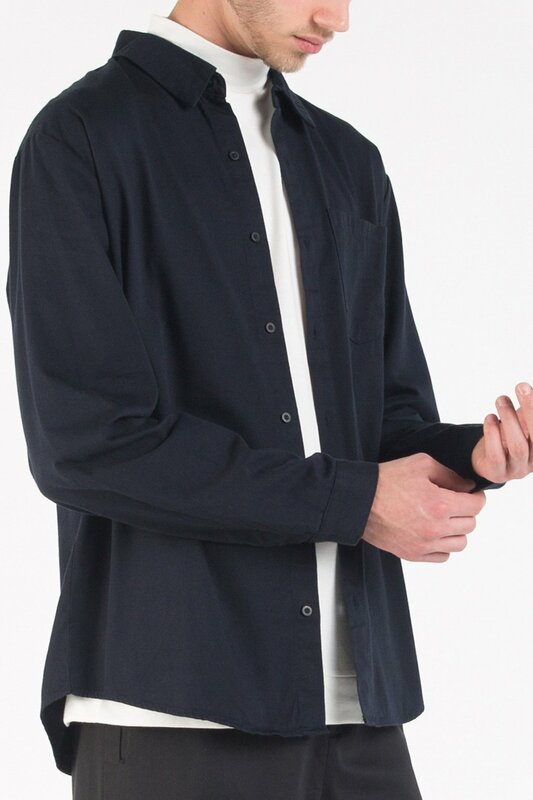 Fit: Relaxed Approximate Measurements: XS: 31" chest x 27" length S: 33" chest x 28" length M: 35" chest x 29" length L: 37" chest x 30" length Model wears a size small. 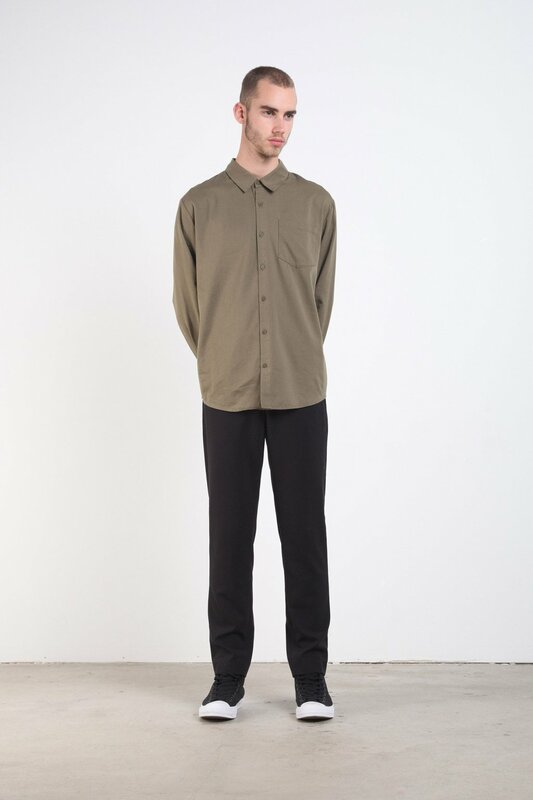 Model's height is 6'.